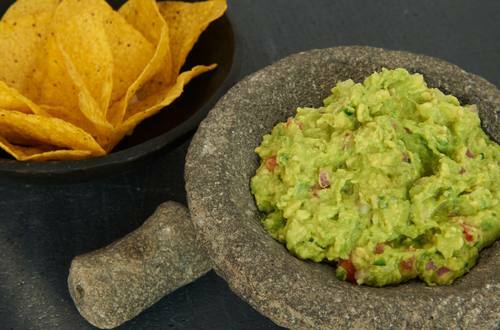 All you need is 15 minutes and this Creamy Guacamole recipe to make the perfect, flavor-packed party dip that'll have your guests double dipping. 1 Combine all ingredients in medium bowl. Season, if desired, with additional lime juice and salt. Serve with tortilla chips. TIP: For a spicy guacamole, do not seed jalapeno pepper.